Enchant your recipient with this gift from the heart! 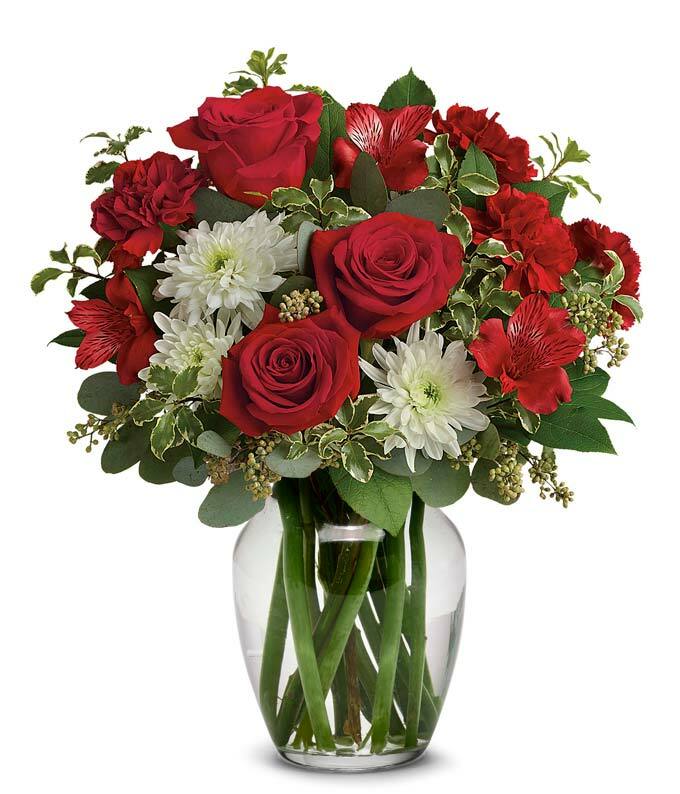 She is sure to be stunned by this gorgeous creation of red roses, alstroemeria and carnations with pops of white chrysanthemums, all of which perfectly compliment the keepsake container! Approximate arrangement Height 12", Length 11"